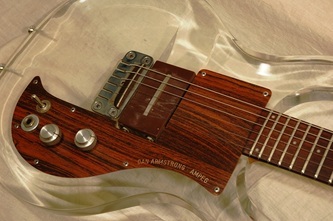 This one came up for auction in February 2009 with an asking price of $3,500. 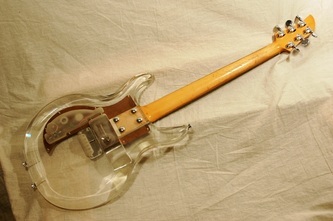 "1970 Ampeg Dan Armstrong Lucite Electric Guitar w/ HSC. 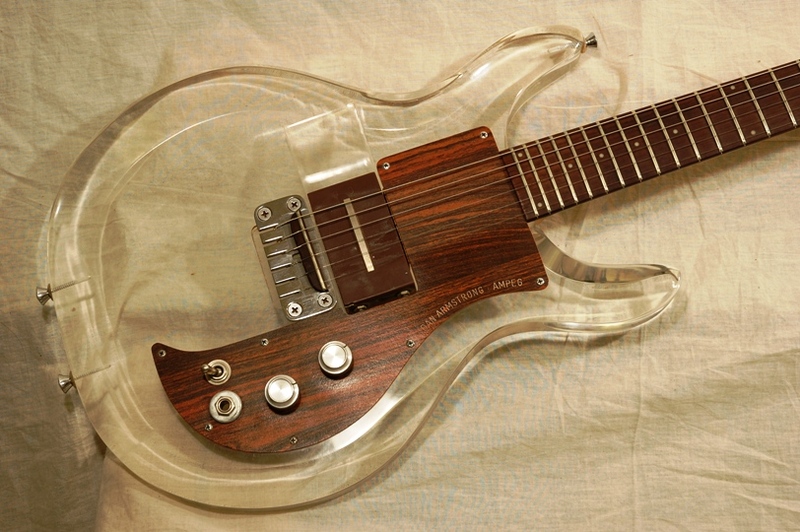 This is NOT the Reissue model! In great condition. Neck Serial number is A2314D. All original excluding the replaced thumbscrew for the pickup and an extra screw in the pickguard. 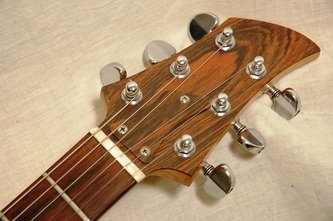 Washer added to the jack for pick guard reinforcement. Absolutely no repairs or modifications. 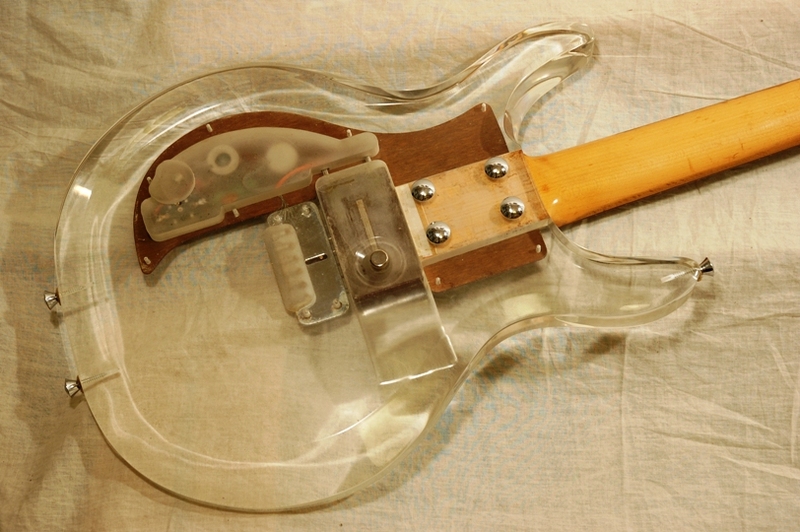 There is some crazing on a small portion of the Lucite body." "This one comes with one original CB country bass pickup. Moderate scuffs and scratches on the body with wear on the back of the neck. 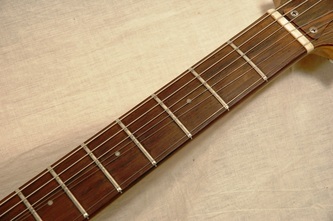 Straight neck and fingerboard with very light fret wear. Recently Setup by a technician with low action, no buzzing and correct intonation. 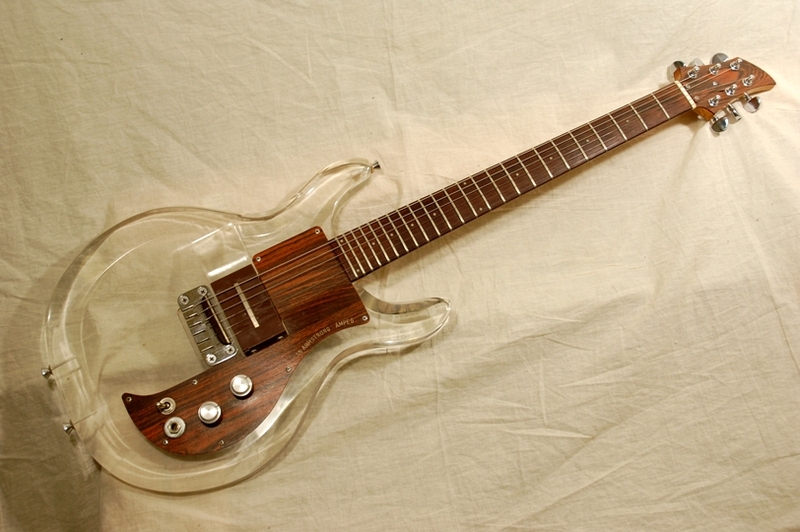 All electronics are working perfectly and this guitar plays great. Reissue hard shell case in excellent condition." "We originally thought the serial number was A 2514D, thereby making it a 1971 model. 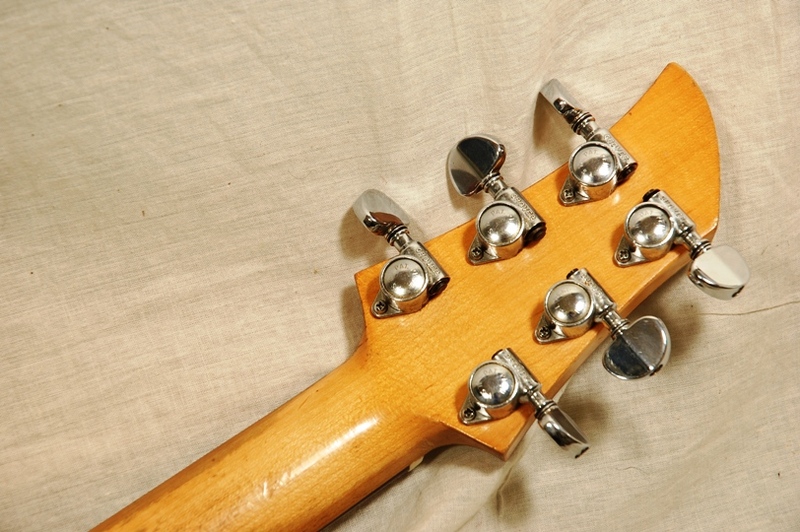 We now see the number as A2314D so it's a 1970 model."